Three years ago today, the nuclear power station at Fukushima in Japan went into meltdown when floodwaters from the Tōhoku tsunami caused its control systems to lose power. Huge amounts of radioactive material escaped into the air and sea – this was the single biggest marine release of artificial radioactivity ever seen. Drinking water, crops, livestock and fish were contaminated, and thousands of residents breathed in radioactice particles. It may be many years before we learn the full human cost, but the World Health Organisation calculated that the risk of thyroid cancer in females exposed as infants would be increased by 70%. Today, the European Green Party have produced an infographic and an interactive Google Map, showing how millions of Europeans, including the majority of Scots, live under the shadow of nuclear power. 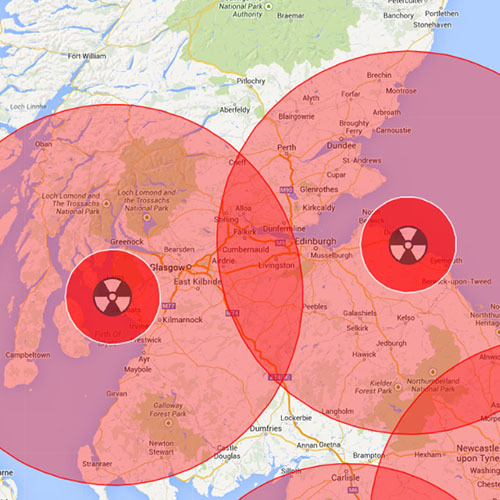 Nuclear power is a relic of the Cold War, viable only because of massive subsidies. Government support should be used to kick-start the energy industries of the future, not keep failed technologies of the past on life support. Scotland is the Saudi Arabia of renewable energy. We have 25% of the European Union’s offshore wind and tidal energy potential. Friends of the Earth have calculated that we could supply 183% of our electricity needs from renewables by 2030, exporting the excess to England and beyond. And renewable energy creates many more jobs per kilowatt-hour than nuclear or fossil fuels. Oppose any EU trade rules that would stop us renationalising our energy industry, as supported by 71% of Scots. 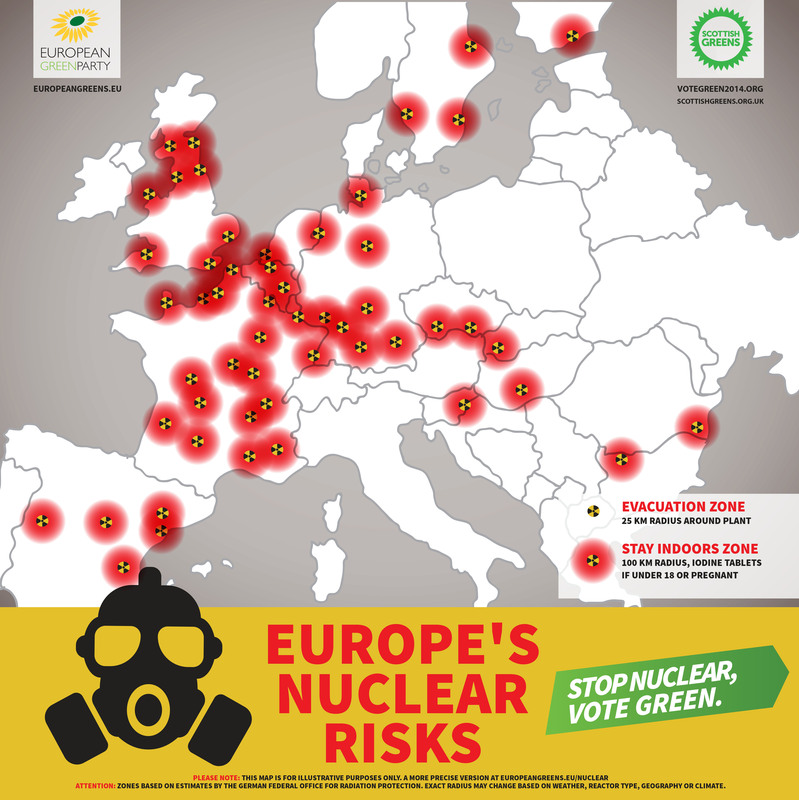 Please share the maps on Facebook and Twitter, and tell us in the comments why you support clean, green energy over nuclear.